Well, I decided to go straight to ask Rin whether or not it’d accept our control. Ah, so its just here for the winter? So it came to our dungeon just to wait out the winter huh. 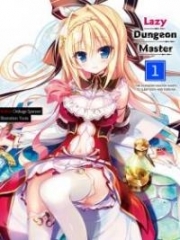 … It couldn’t leave the dungeon if it entered the dungeon’s control? Wait no, doesn’t Haku-san bring Chloe with her? Even Haku-san, herself a dungeon core, can go out, so it should be able to. It revised what it said, did it understand something from what went through the golem? Rather, it doesn’t have a s.e.x? So that’s why its wolf form doesn’t have one either? Well, according to that talk about slimes with Ontentoo, they self reproduce. No, more importantly, it has a boss…? Maybe its tamer? So Rin’s a faithful doggy that goes out looking for its missing owner huh. Ah, it’d be faithful slime since it’s a slime though. I’d be fine entrusting the golem if he could make it stronger. But really, what kind of guy is stronger than Rin? Now that the mysteries have deepened, I decided it’s about time to end it for the day. Hmm. Did my intimacy level go up? This was the first time I could finish a conversation with Rin without being eaten. Well, it’s a shift in topics, but it’s about making magic tools. It looks like Nerune figured out the basics, so she’s gotten to the point of being able to make the kinds of magic tools Kantra knew: fire, water, earth, and light. That just means things related to elements coming out of simple magic formations, the so-called fundamentals of magic tools. I think that much is amazing enough though. I decided to try it out on a golem immediately. I had her carve out a magic formation on an iron golem I’d prepared. Then, I completed it by melting a matching-attributed magic stone onto it. … One that emits sand from its abdomen, a sand golem. It wasn’t particularly useful other than being gritty. … One that emits water from its knees, a water golem. It wasn’t particularly useful other than for getting its feel wet. … One that emits fire from its face, a fire golem… sorry, there wasn’t any deep meaning to it. … One that emits light from its right hand, a light golem. Hmmm, it wasn’t particularly useful other than being bright. With that, four golems that weren’t particularly useful were completed. Concerning the fire golem, I just thought it’d be cool to have one that could spit fire like a flamethrower. Though well, I seriously want a non-physical way for them to attack… I wonder how? The feeling’s off. Well, they do have the advantage of being able to be installed on golems… Yep, let’s have these guys be a new series, the magic tool golems. … So expensive. It’d be better making them myself after all. Nerune’s eyes sparkled as she banzai’d. Nerune really is excitable when it comes to things about magic. Scrolls should probably be as expected for research costs. Let’s prepare a few low class ones like [Fireball] and [Light]. And an assistant, huh. Hmm… a goblin probably wouldn’t work. I wonder what would be a good pick, maybe another apprentice witch like Nerune? … I prefer keeping with going for diversity than getting more of the same monsters. Should it be another kind then? Nerune was getting pretty psyched up. Right, Nerune was happy when she heard about a laboratory, so she’ll definitely like a white robe. I looked for the outfit and bought it for 30 DP. Oh? She’s disappointed now, dang it. It suits Nerune well though. So well that I want to massage her feet. No, I won’t actually do it though. Let’s at least have Rokuko get a good assistant for her. And so I looked for Rokuko. I found her immediately after looking at the map, though. She just finished spinning the gacha in the master room. I said she could spin it once for each time the saintess died, so it looks like the saintess got killed by Rin again. You don’t learn huh, saintess. … Moreover, a green dot representing an ally appeared next to Rokuko. Looks like she got a monster. I opened communications with Rokuko, who was in the master room. … The heck kind of amazing luck does this girl have?